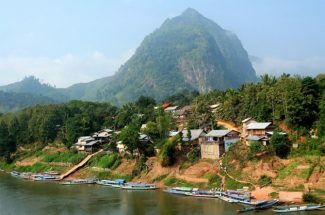 If you’re finding a luxury tour in Lao, Laos Luxury Tour in a week is an ideal suggestion for you. 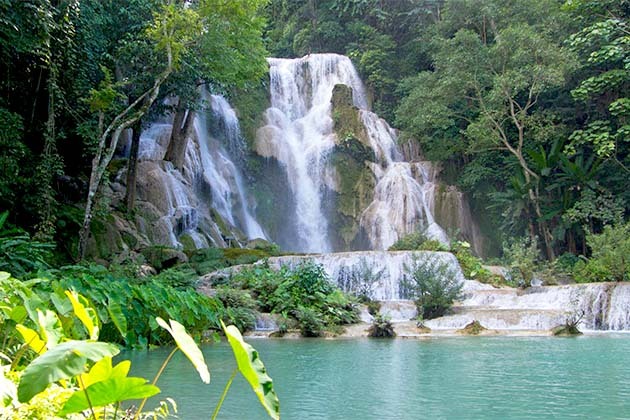 During 7 days in this tour, we specially made suit to you and ensure that you have a Laos vacation as its name, a luxury tour. 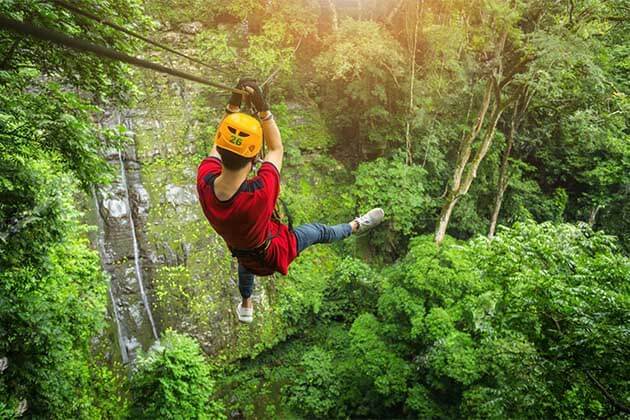 Exploring the beautiful scenery, visiting the famous historical places, or joining in the interesting outdoor activities are the highlights in this tour. 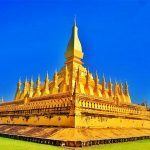 Additionally, you will be served by the professional tour guide and the best services bring for you an unforgettable memory in Laos. 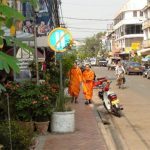 After breakfast, we explore Vientiane, the heart of Laos. 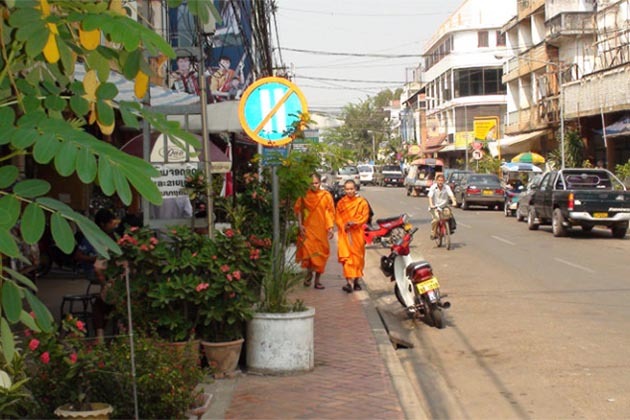 By Laos is the land of Buddhism, it’s not surprising when there are many temples in Laos as well as Vientiane. One of the famous temple attracting tourists is Wat Sisaket which includes thousands of miniature Buddha statues. 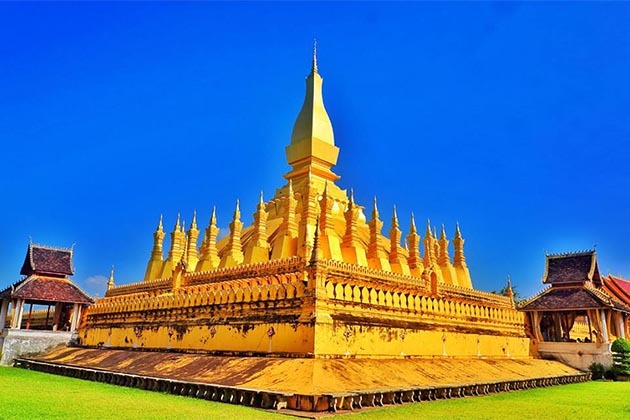 Then, moving to the ground of Laos, visit That Luang stupa with the reference, our guide will tell you about the story of Buddhist and his teaching. In the afternoon, we continue visiting the rest of Vientiane by foot, it’s convenient to visit 3 temples next together: Wat Ong Tue, Wat Inpeng and Wat Haisok, although, each of them has its own special architecture, it brings Buddhist identity of Laos. 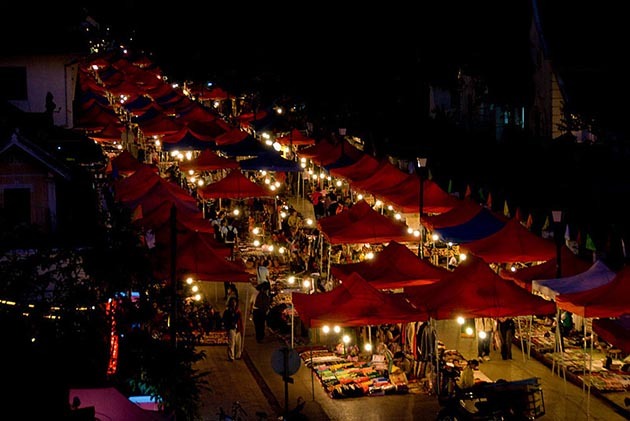 After visiting three temples, we will go to the major shopping area, the Vientiane Central Market of Talad Sao and Talad Koadin where various goods are displayed for sales. In the late afternoon to admire the sunset. Sip a beer Laos and snack, enjoy the relax minutes mix with the fresh air, wow, it’s an amazing view! 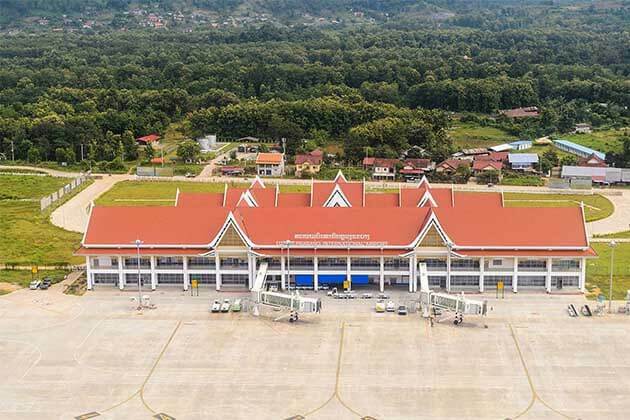 Flight to Luang Prabang, after enjoying the luxury breakfast at your hotel, we transfer to the airport for the short flight to Luang Prabang, which is the best preserved traditional city in Southeast Asia. After checking into your hotel, visit the oldest temples in Luang Prabang: Wat Visoun, the shrines of Wat Aham and Wat Mai. In the evening, attending a special dinner with the Baci ceremony and Lao traditional dance show. (The Baci ceremony is a ritual to celebrate a special event, whether a marriage, a homecoming, a welcome, a birth, or one of the annual festivals). 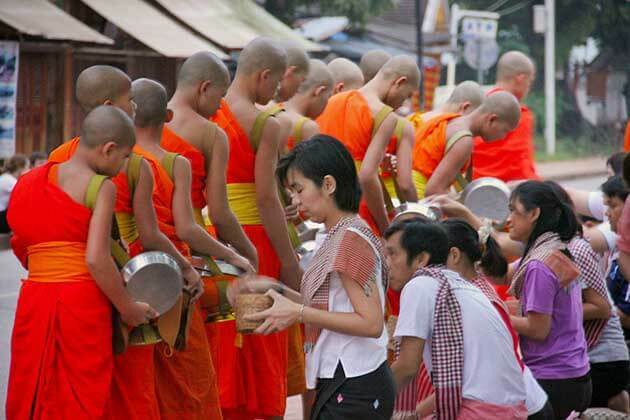 Wake up early than others day to have a good breakfast, start joining in the daily morning rituals of saffron-clad monks collecting offerings of Alms from the faithful residents. 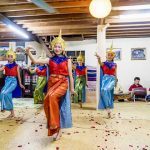 It becomes a unique culture in Laos, being the only Buddhist nation still preserving the tradition. if you want to take part in the ceremony, you can tell your guide and he/she will prepare food for you or you can buy in the pot near that. This early morning ritual dates back generations in Laos. 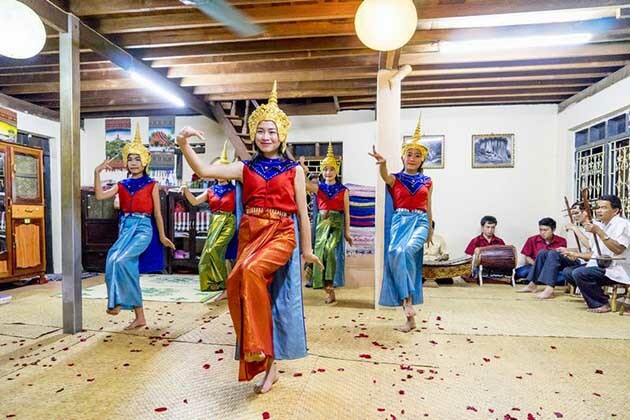 Watch the town come to life in the morning then return to the hotel for breakfast or join the locals for a bowl of delicious noodle soup after the alms giving ritual. Note: (If you do not wish to make an offering, please keep an appropriate distance and observe the ritual in silence. Dress appropriately – shoulders, chest, and legs should be covered). Begins your half day city tour with a visit to the Royal Palace Museum, which hosts a range of interesting artifacts. Then, we visit Wat Xieng Thong with its roofs sweeping low to the ground, which represents classical Laotian architecture. Next, we stop at the central market to see local trader do their business before enjoying the lunch at a local restaurant. 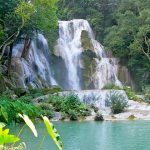 In the afternoon, we will visit the stunning view, Kuang Si waterfall, which is known as the most beautiful waterfall in Southeast Asia. Go to the waterfall, it seems that you’re lost in the paradise in the ground, the waterfall with a strange color. What’s more interesting when immersing yourself in the cool water. It’s a really great experience for you. Breakfast is ready for you in the morning, if you impressed the rituals of saffron-clad monks collecting offerings of Alms in the last day, you can join again. From there, we will take a short visit to the morning local market near the Royal Palace, you can buy a variety of products which displayed in the market. 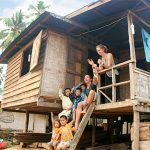 Continue to the trip, floating on the Mekong river to go Pak Ou Caves, you will see the dreamy natural landscape, the high mountain, and the villages near to the banks where the children play near there and waving their hands with you. 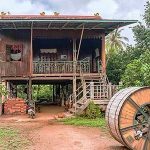 On the way to the Pak Ou, stop at Ban Muang Keo, a well-known village for its traditional Lao rice whiskey distilling. In front of you, you will see the mouth of caves, the Buddhists are placed from outdoor to indoor with other shapes and sizes left by pilgrims. 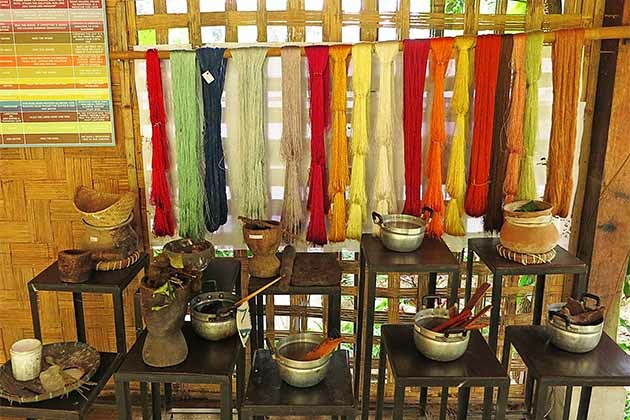 Back into Luang Prabang in the late afternoon and continue by car to the outskirts of town to visit Ban Xangkhong, a village well – known for its wood paper making and also silk weavings with natural dyes. 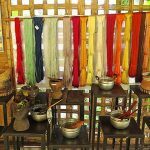 If time permits, we will make a short stop at Ock Pop Tock Living Craft Center where you can learn about the traditional weaving in Laos. 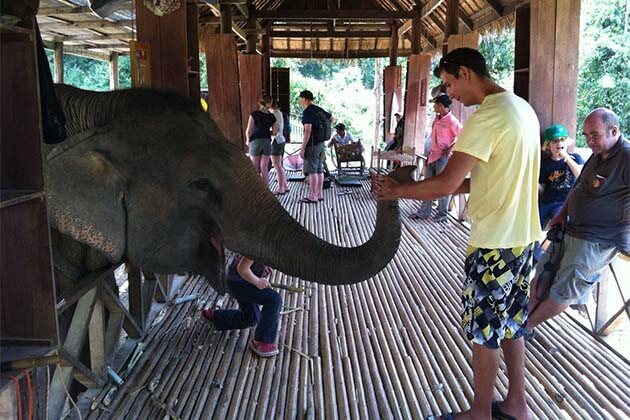 Enjoy a good breakfast to ensure that you have enough energy for all day, today you will be introduced to friendly giant friends, the protected Asian Elephant, and company with your new friend and go through the rainforest along the bank of Namkhane River. After your Lao style lunch, we will then take our soft adventure kayaking back down on Namkhane to Luang Prabang. After breakfast, free time for you till private transfer to the airport for your departure flight. Upon your time, you can seat in the coffee corner on the street, look around and take some pictures to save the ancient beauty of Luang Prabang.